Most smartphones, as good as they may be, end up showing signs of wear and tear. Does the Huawei Mate 10 Pro follow this trend or does it age like a fine wine? I tested this smartphone for 100 days and now it’s time to take stock. In this article you'll find out if the device is a hero or a no-go. Let’s just cut to the chase: am I still satisfied with the Huawei Mate 10 Pro after 100 days? The experience has been undeniably positive, but it hasn’t been perfect either. Below I’ll explain what elements I liked as well as where I was completely displeased and simply surprised. There are smartphones for all types of users and although it can be versatile, the Mate 10 Pro is clearly for multimedia fans. Its large 6-inch screen (18:9 aspect ratio) makes video playback and gaming particularly enjoyable, and although it isn't the best available on the market, the experience is overall fantastic. The device has top-range hardware, which means that it can run any game without any problems. As far as I’m concerned, I had no slowdowns in games, and the smartphone never overheated despite the work overload. The most positive aspect of the multimedia experience is the stereo sound: when you use the device in landscape mode, the stereo sound turns on (you can change this in the settings) to provide a better experience. This is different from what you’ll find on many of the devices that have a loudspeaker on the bottom. And the storage capacity is another element that will likely satisfy many users. And one more? The Easy Project, which isn’t necessarily as extraordinary as you’d imagine, but it does the job. But (and there’s always a ‘but’) the absence of the mini-jack plug is more problematic than I imagined. When you carry your Bluetooth headset on you, it’s no problem. But on the other hand, if you forget it at home, it means that you won’t have music on your smartphone all day long. Gone are the days when you could forget your Bluetooth headphones and simply plug in your old-fashioned mini-jack headphones. It’s a bit like USB Type-C, since the technology has evolved and turned out better than what it used to be, but without the right hardware you can’t do anything. It’s a matter of developing new habits (and a better memory). Do you still need a headphone jack on your smartphone? Does artificial intelligence really make a device more intelligent? Huawei highly praises the virtues of its artificial intelligence. Its dedicated chip, the neural processing unit, aims to support the device’s CPU (up to 25 times faster) and the GPU (up to 4 times faster), all while consuming less energy. In other words, your smartphone will work more quickly. This should also result in better results with the camera and the translation app and will also generally boost application. But how does it work in practice? The NPU chip certainly has a small effect and the photos are of a good quality (although the Pixel 2 did a better job of convincing me), and I have to admit that I am very enthusiastic about the portrait mode. To put it simply, this is a very good camera. But to what extent does the NPU chip play a role? It’s hard to tell. With the rest of the device’s functions, it seems to boil down to one word: marketing. I don’t doubt that the chip is in there, or that it does everything Huawei says it does, but I think in daily use it doesn’t make a real difference. I’ve had the opportunity to use a lot of high-end devices and I don’t find the Mate 10 Pro to be any faster. I also don’t think the apps launch any faster or learn from my use. This may be the case, but then again I’ve only used it for a short time, so perhaps it wasn’t really noticeable. With respect to the translation app, aside from the design it isn’t any better than Google Translate. Of course, it will be further improved (and needs to be), but in its current state it’s quite disappointing. As for the voice translation, it leaves even more to be desired. Not everything is perfect. On rare occasions the Mate 10 Pro has caused some funny scenes. I was, for example, chatting quietly on WhatsApp and suddenly the screen went black for a few seconds and then came back on the locked screen. There was also another small problem: the search for parameters on EMUI doesn’t always work very well. When I type what I’m looking for, it isn’t always able to find where it’s located. It’s a shame, because it would stop me from getting lost in the menus, especially when I’m looking for features that Huawei hasn’t fully adopted (like Smart Lock). With that said, the camera is still excellent after 100 days. Its autonomy is also exemplary, and these qualities take precedence over the defects. Purchasers won’t regret their choice, but on the other hand, it’s not a perfect smartphone, and you’ll be occasionally reminded of it. Have you already had experience with the Huawei Mate 10 Pro? Share them with us in the comments! A true, powerful phone with a very good quality camera. If the software is "stable" (to me, pretty much everything from lollipop has been), the phones have been "good enough" for the past couple of years. About all we get these days are gimmicks. "Fashion" colors, stylish BS and on and on. With the high end guys charging 1,000 for phones, and, if the reports are correct, that the market is about saturated, maybe sales will fall off, prices will come down and manufacturers will start to really INNOVATE, instead of churning out the same thing year after year. In my opinion, the mate 10 pro is much more faster than other smartphones like nokia 8,samsung s8/s8+, note 8 and etc. 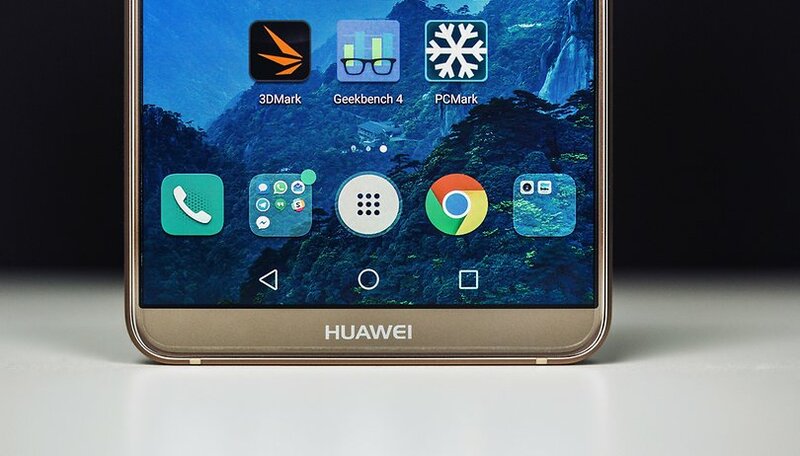 I absolutely notice the works of the npu of huawei new kirin 970. If it's anything like most huawei/honor phones, they're good for modding to your taste. I give the warranty 4~6 months, then mod. Kick EMUI to the curb, then make it good. did you have any issues with wifi? i had to return it because of wifi. many users reporting the same thing on the forums.